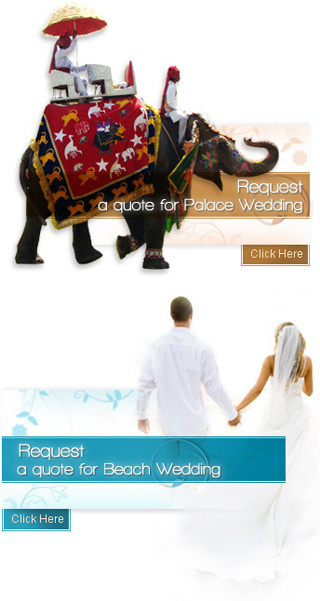 The Indian weddings differ in its celebrations from one region to another. Deciding a wedding location is a very important factor. Everybody wants their wedding to be the most extravagant and perfect in all spheres. Thus, deciding a unique and excellent weeding ceremony location is important; thus marriages in farm houses could be a good idea. One could arrange for their wedding ceremony at their own farm houses or they could rent one. Marriages in farm houses could be a real fun and most memorable for the couple and the guests. The invitees could stay at the farm houses throught the wedding ceremonies. All the pre wedding and post wedding ceremonies could take place at the farm house. People arrange for various additional entertainment functions at the farm houses as the guests stay until the wedding ceremony ends. The traditions and the rituals remain the same even at the marriages in farm houses like any other marriages. The only difference is that such marriages would be homely ones. One can hire for a good catering service of one's preference. Marriages in farm houses have become very much trendy these days. People decorate their farm houses and invite the guests to attend the entire wedding ceremony. The marriages in farm houses could be one of the most memorable wedding experiences. A wedding at a beautiful location could add to the charm of the entire event.